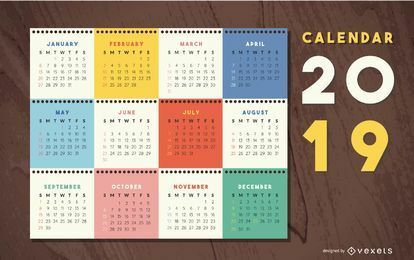 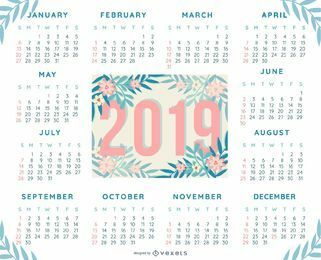 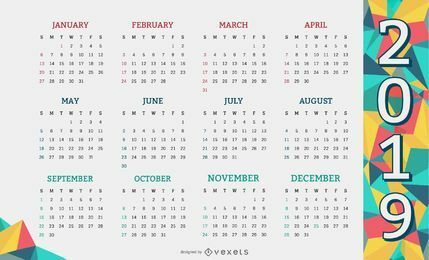 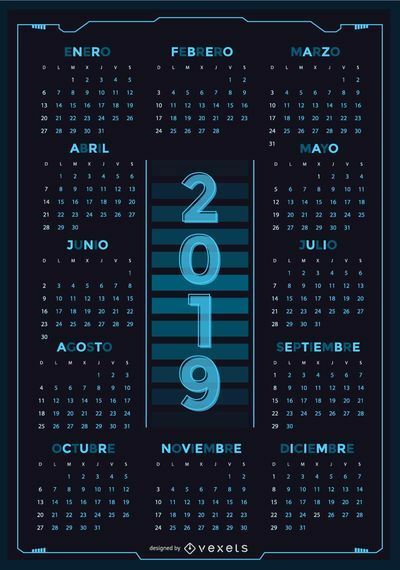 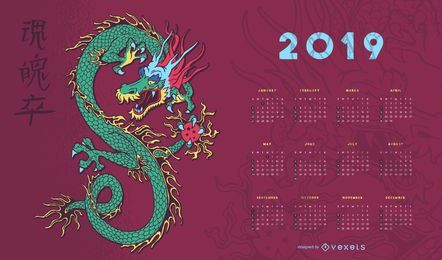 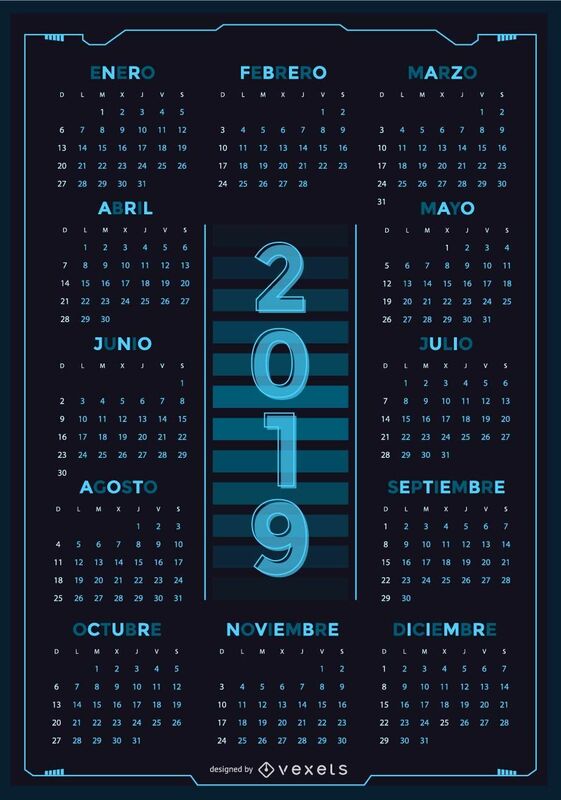 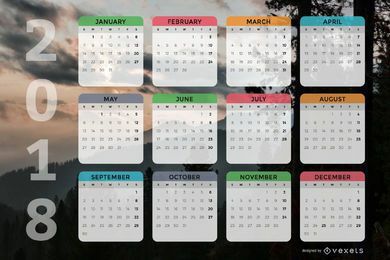 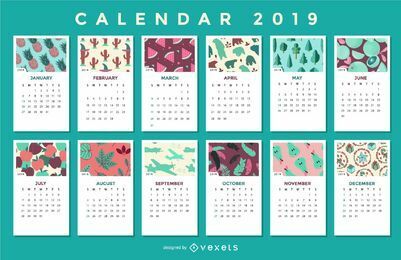 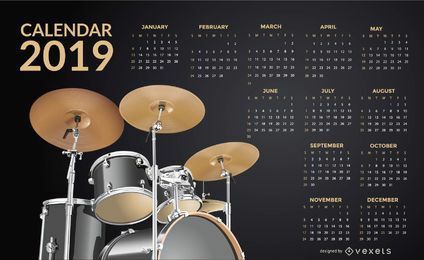 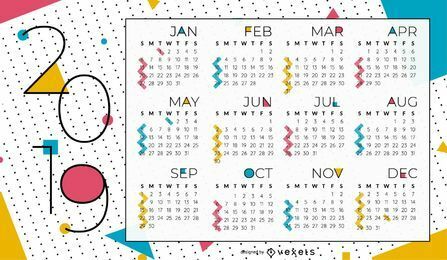 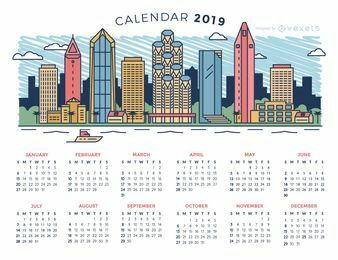 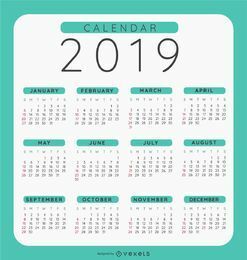 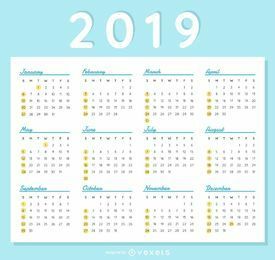 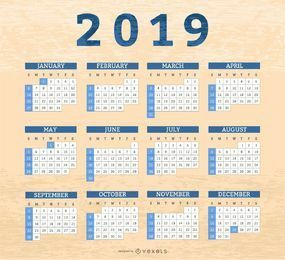 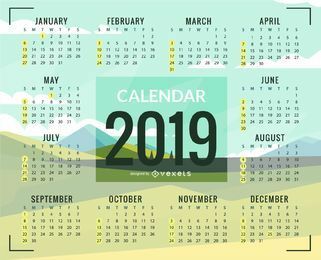 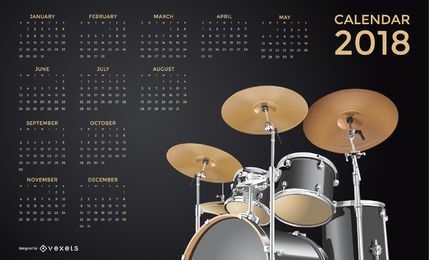 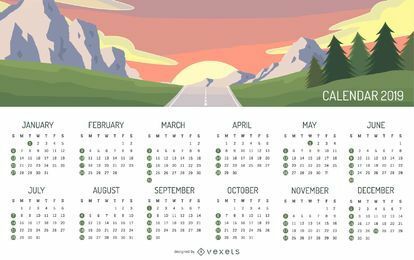 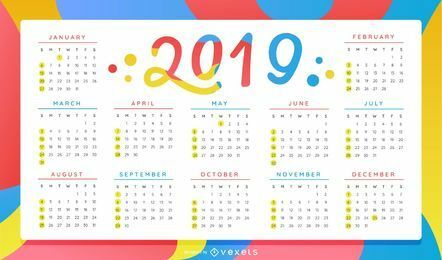 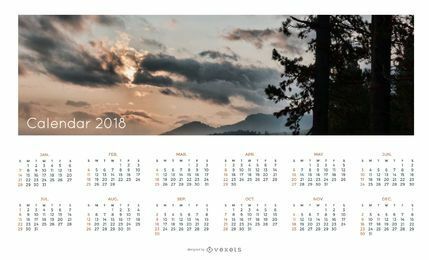 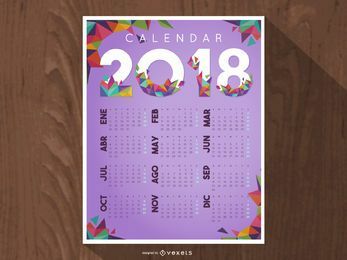 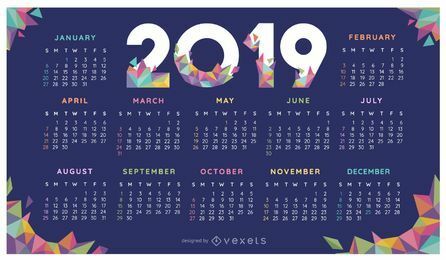 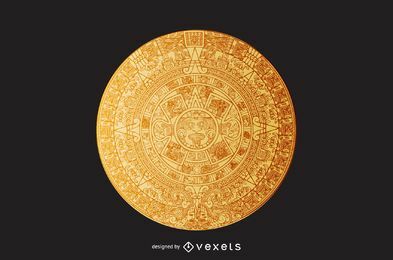 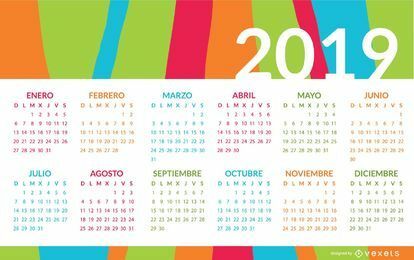 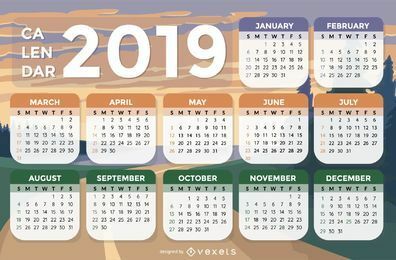 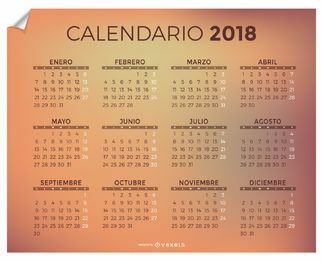 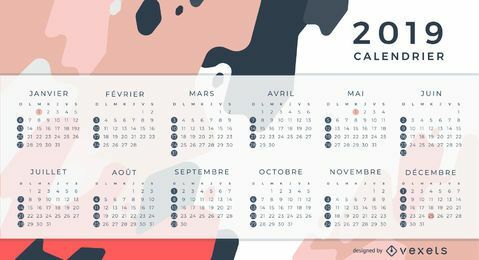 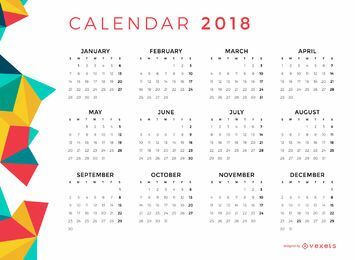 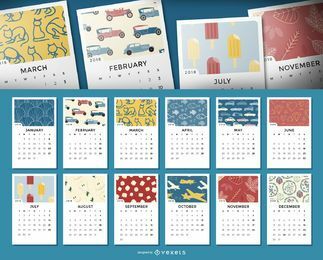 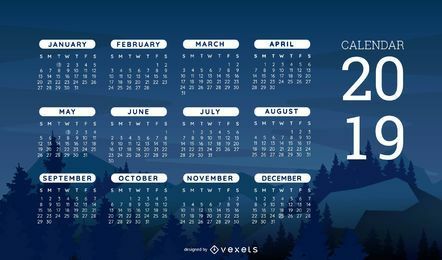 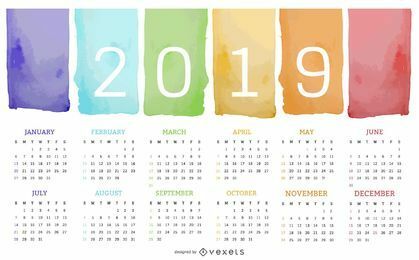 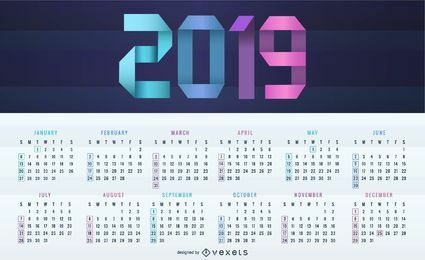 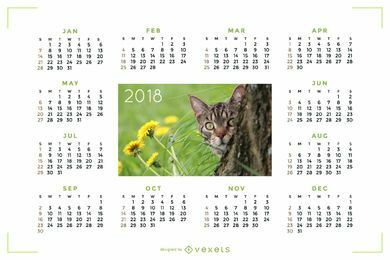 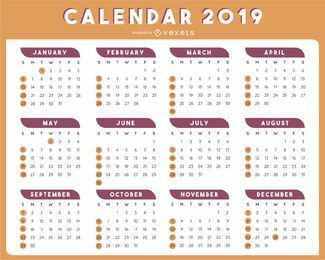 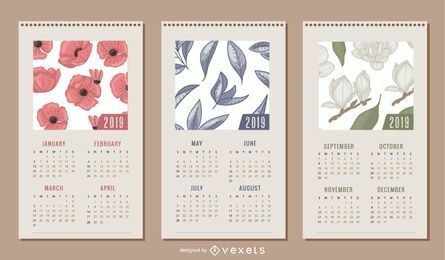 Cool technology looking New Year 2019 calendar in blue tones. 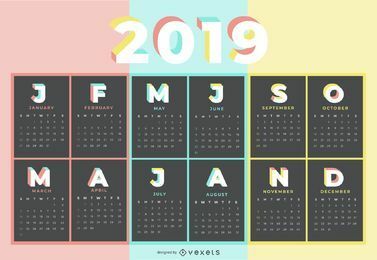 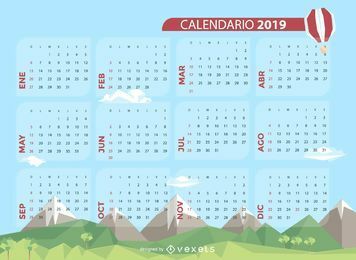 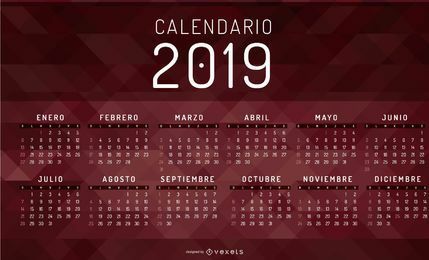 2019 in the middle over gradient lines. 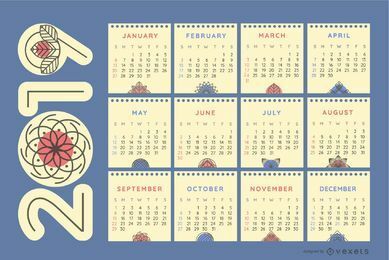 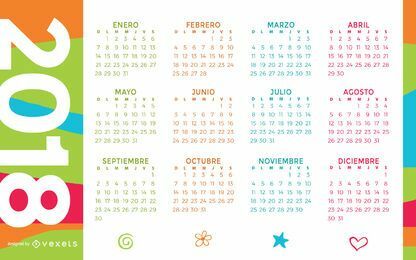 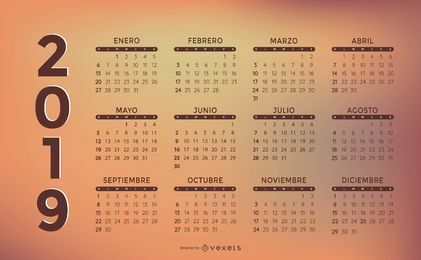 Months are written with alternating light and shaded letters.